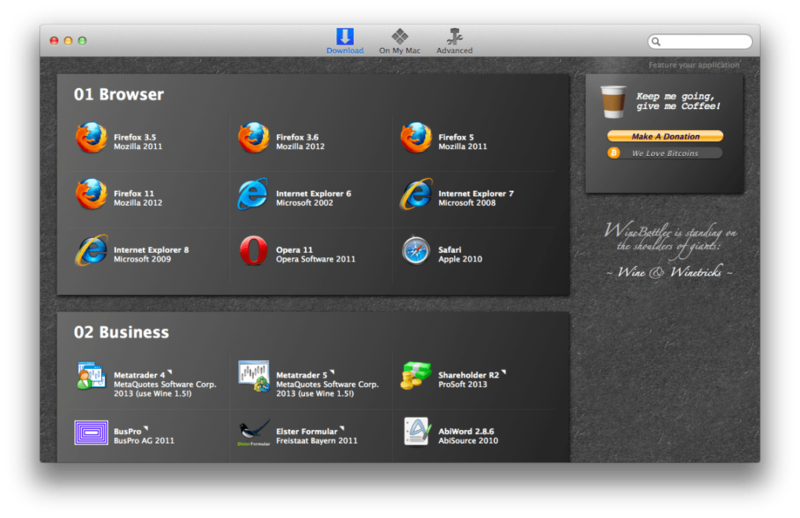 Parallels or VMWare Fusion to run Windows applications virtually on a Mac. 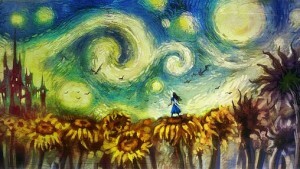 However, if you don't need Windows and only need to run Windows applications Darwine might be able to help you. The Darwine project aimed to port and develop WINE as well as other supporting tools that allow Darwin and Mac OS X users to run Windows Applications. For developers out there, it also aims to provide a Win32 API compatibility at application source code level. You should note, however, that as of May this year, the Darwine project has officially ended. 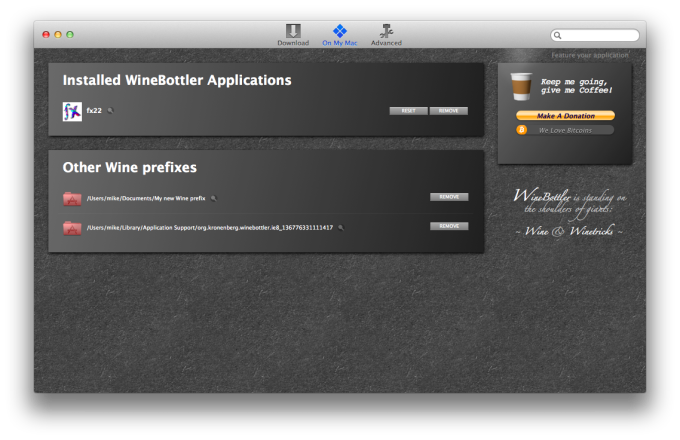 Darwine is now known as WineBottler, although you can still use the last-known build of it, which is provided here. Note that Darwine runs only on Intel Macs with Tiger and Leopard and Snow Leopard is not supported yet. Darwine also isn't suitable for running 3D applications because there's no support for OpenGL as yet. 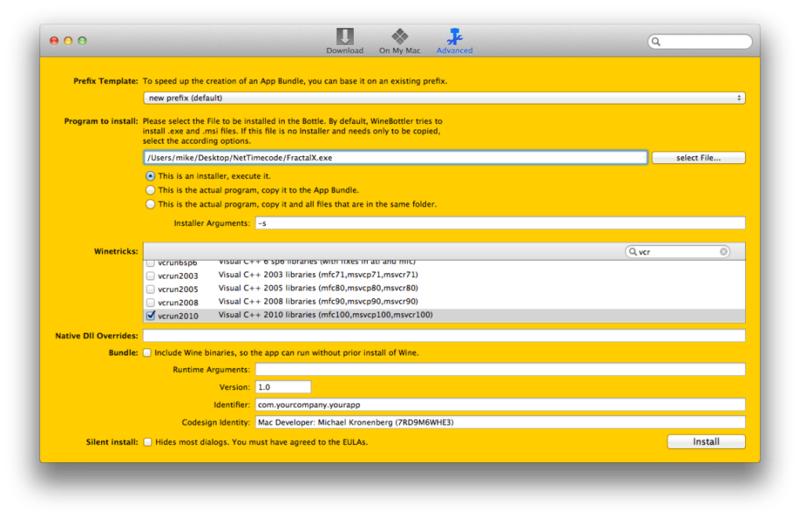 Darwine has many limitations and is now superseded by WineBottler but it's still worth a try if all other methods at running a Windows application in OS X have failed. does not stay open!. it crashes when i run the program! will not stay open! what a waste of time and disk space by downloading!